Sniffy nose? Feeling a tickle in your throat? Between allergy season and the changing temperatures as we shift to Spring, it’s easy to catch a cold or feel generally under the weather. But did you know that there’s a plant that’s been used since ancient Egypt to fend of colds, sinus issues and more? For those of you who are familiar with Elderberry, the name might ring a bell as it’s now a trending ingredient in cocktails and beverages. 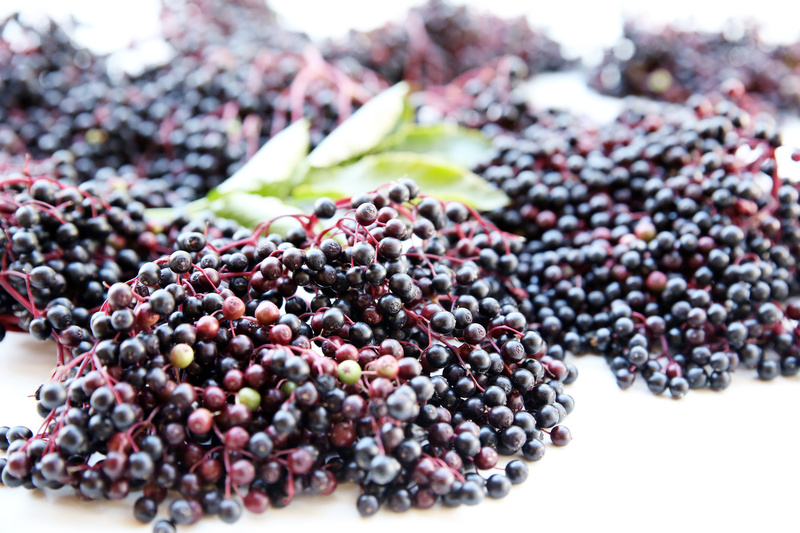 But besides that, elderberries contain a numerous amount of nutritional compounds such as amino acids and vitamins A, B and C that naturally bolster our health. Not only does it have a strengthened composition, but some of its major properties include: antioxidant, immune-boosting, anti-inflammatory, diuretic, and even laxative effects. This plant has been touted to have more health benefits than you could imagine – which is why you need to read further about how an Elderberry can potentially benefit you this Spring season. Elderberries are an incredible immune system booster. The actual berries themselves contain compounds that stimulate the immune response. They even have properties that are highly effective in defeating flu-like symptoms. One study showed that using an extraction of elderberry can reduce the duration of the flu for patients by approximately 3 days. Many of us know that plants high in antioxidants help support our immune system and all over health, and this study shows that elderberry has higher antioxidant power than blueberries, blackberries and even goji berries! Elderberries are also a great cure for bacterial and viral infections. Given their extremely powerful antioxidant and anti-inflammatory properties, this plant has secured a spot as one of the most successful sinus infection remedies. Some studies suggest that the actual Elder flower contains natural chemicals that can fight off swelling in mucous membranes and the sinuses, helping relieve this discomfort in nasal congestion. Research has shown that Elderflower extract stimulates glucose metabolism (where simple sugars found in foods are processed in our bodies to produce energy), and increases the secretion of insulin which in turn helps us lower blood sugar levels. The vitamin A content, antioxidants and bioflavonoids help protect our skin from oxidative damage in the form of UV rays and environmental pollution. So you’ll most likely be seeing Elderberry extract in numerous beauty serums and products. Elderberry is a great source of dietary fiber and may act as a natural laxative, which can support a healthy digestive system. The natural fiber found in this fruit can support bowel movement and may alleviate cramping. The fiber content can also assist with nutrition intake, meaning that you can absorb more of the nutrients in your food. You can use the dried flower petals to make tea, or you can use the petals to infuse water for an immune stimulating beverage. 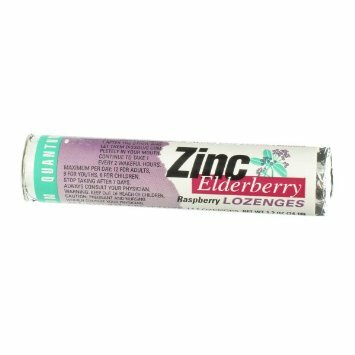 If you want to simply experiment with a product that has Elderberry extract in it, one that we recommend is TheraZinc Elderberry lozenges. Quantum Health Therazinc is a lozenge made with 36 mg of elder fruit and provides nutritional support when you’re feeling a cold of sniffles coming on. Not only do these immune boosting lozenges contain elder fruit, but also another immune boosting mineral, zinc! It is important to note with zinc supplements that you should not consume them on an empty stomach as it may cause upsets. The producers of TheraZinc have been in business since 1981 and offers more than 60 scientifically formulated products, so they’ve been around the block when it comes to natural supplements. Even better, Quantum Health is running a giveaway for 1 Balanced Babe reader to win a 14 pack of these TheraZinc lozenges and a $25 gift card to Amazon! In order to enter, simply comment on this post one of your favorite natural remedies to alleviate colds or boost your immune system – or tweet us your response at @balanced_babe . We will randomly select a winner on Monday, March 27th 2017. Entrants must be 18 years or older and reside within the US. Good luck! Disclaimer: This article is in partnership with Quantum Health Therazinc, all editorial direction, writing, and opinions are our own. The information in this article is not intended to diagnose, treat, or cure any symptoms. Readers are encouraged to consult their physician before consuming any new supplement or food. Eat This To Relieve Sore Muscles, Increase Energy and Your Immune System.